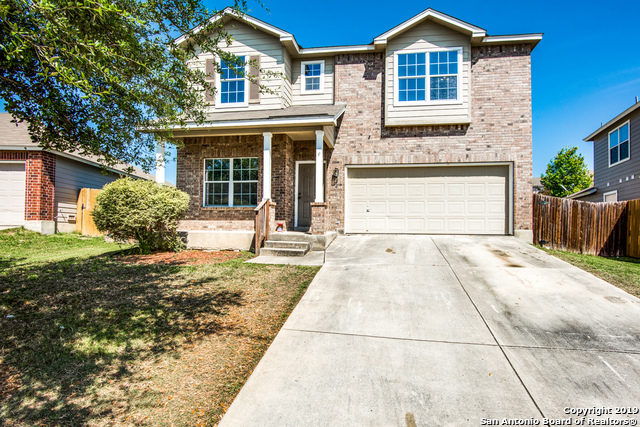 All SEALE SUBD homes currently listed for sale in San Antonio as of 04/26/2019 are shown below. You can change the search criteria at any time by pressing the 'Change Search' button below. "Built in 2012, this San Antonio two-story home offers a kitchen island, master bathroom with tile-surround shower, backyard deck, and two-car garage. Upgraded features include new carpeting and fresh interior paint. This home has been virtually staged to illustrate its potential! Thanks for viewing! This home comes with a 30-day buyback guarantee. Terms and conditions apply." "USDA $0 down Eligible & No City Taxes! Better than New Construction, because of location and Move in Ready! 4 Bedrooms,3 Living areas (one can be converted to 5th BR) open floor plan, Cabinets Galore with Island, tile in all wet areas,faces west for complete shade in backyard for Texas BBQs.. In NISD, Conveniently located mins from Lackland AFB, Loop 1604, HWY 90, Sea World, restaurants and new Mega shopping center!" "Built in 2011, this San Antonio two-story home offers a loft, stainless steel appliances, and a two-car garage. Upgraded features include new carpet in select rooms.This home has been virtually staged to illustrate its potential! Thanks for viewing!"